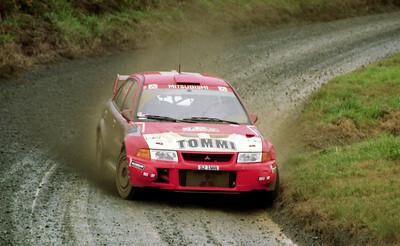 Tommi Makinen, Mitsubishi Lancer Evo V.
Risto Mannisenmaki checks tyre pressure on Tommi Makinen's Mitsubishi Lancer Evo V.
Didier Auriol, Toyota Corolla WRC. 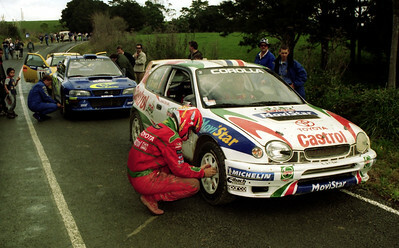 Denis Giraudet checks tyre pressure on Didier Auriol's Toyota Corolla WRC. 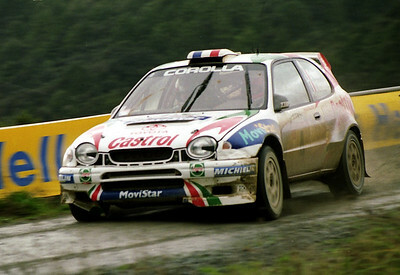 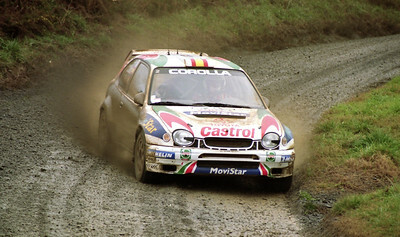 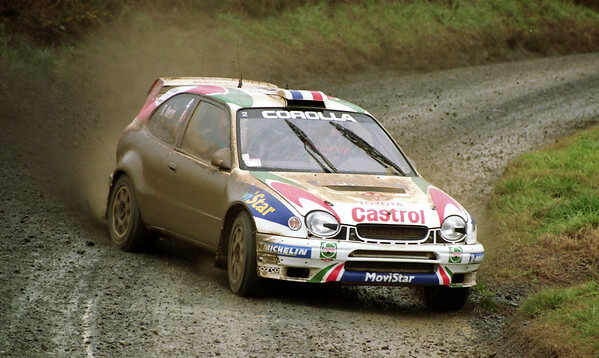 Carlos Sainz, Toyota Corolla WRC. 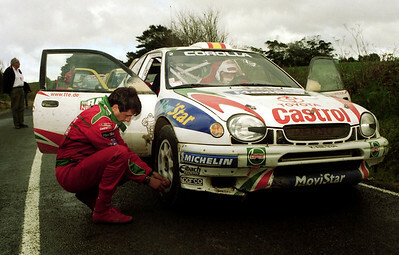 Luis Moya checks tyre pressure on Carlos Sainz's Toyota Corolla WRC. 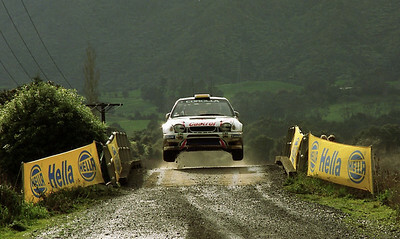 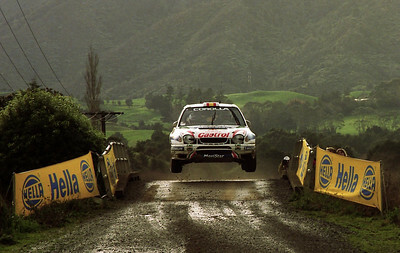 Matthias Kahle, Toyota Corolla WRC. 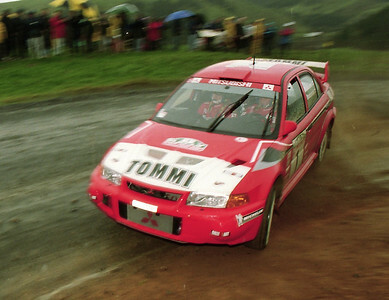 Thomas Radstrom. 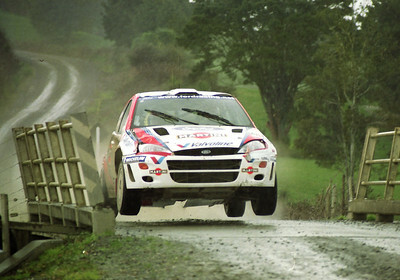 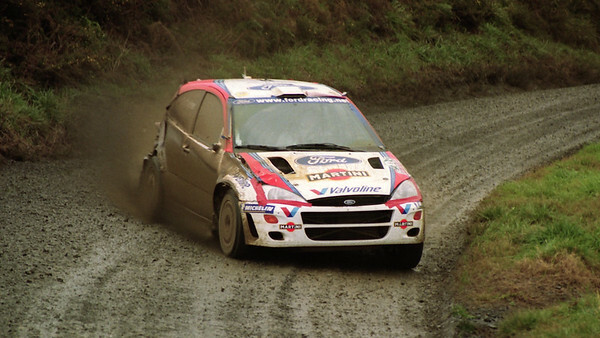 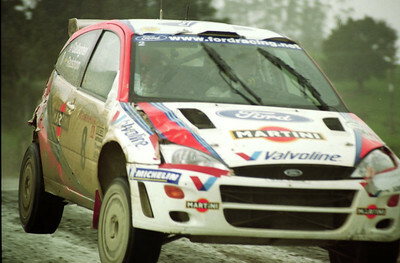 Ford Focus WRC. 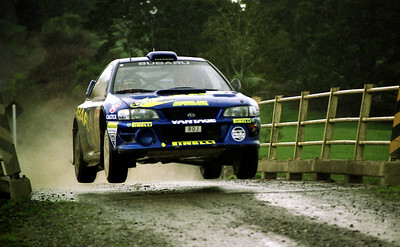 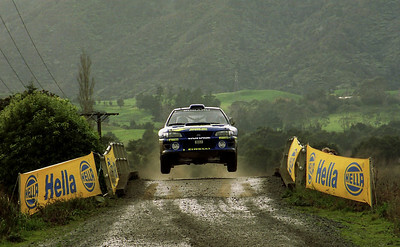 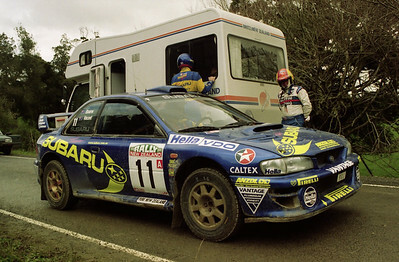 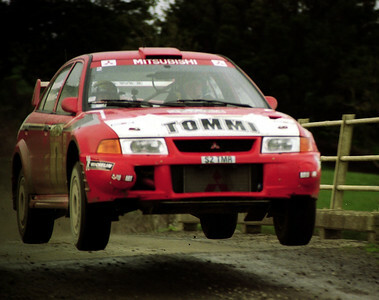 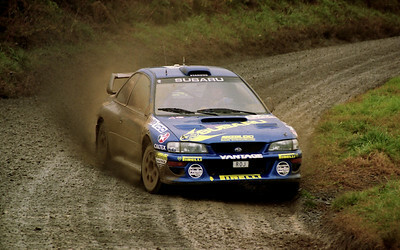 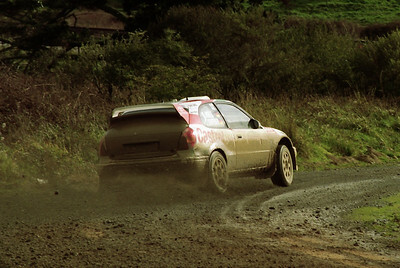 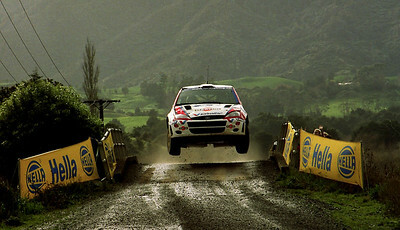 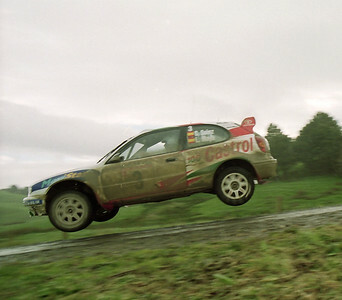 Possum Bourne, Subaru Impreza WRC. 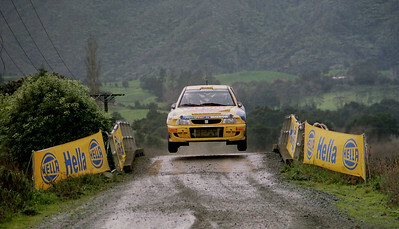 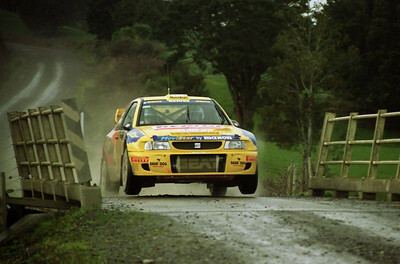 Toni Gardemeister, SEAT Cordoba WRC. 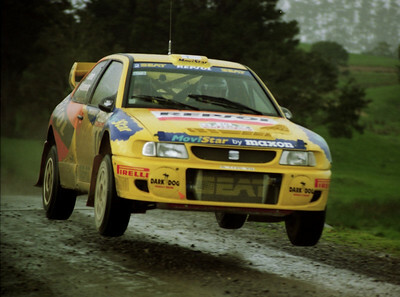 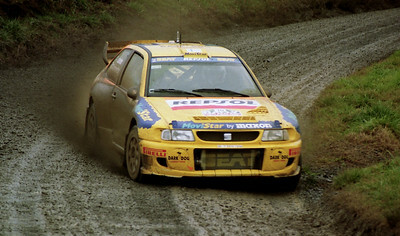 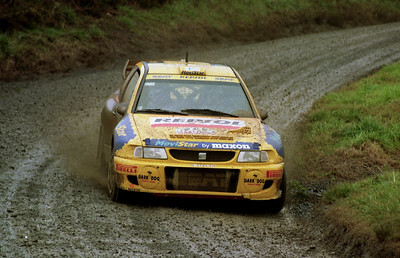 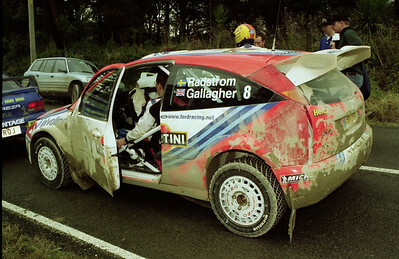 Harri Rovanpera, SEAT Cordoba WRC.